It’s easy to get a little down these days in the face of tensions in the world, the tragic events that make headlines way too often and the hyper-partisanship that prevails in American politics. 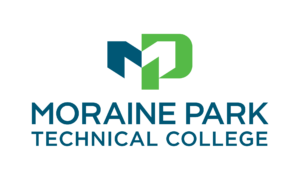 If you want a lift out those doldrums, attend a graduation ceremony, as I did Saturday for Moraine Park Technical College (MPTC) in Fond du Lac. More than 800 students in 85 different disciplines received associate degrees or technical diplomas, and they are now skilled and ready to take on the world. The country needs every one of them. “It’s the best of times to be young graduate, or even somewhat young at heart, to be of sound mind, skilled, ready for the world. “The times today remind me of when I graduated from college almost 60 years ago. Jobs were everywhere. I and my dewy-eyed classmates were in high demand. We had lots of employment options. “Likewise, you have picked a fine time to graduate. Your sense of timing (or your parents’ two decades ago) was right on. “The unemployment rate here is less than 3%, and there are an estimated 90,000 open jobs in Wisconsin. Just a decade ago, in the middle of the Great Recession, companies like mine were laying off, not hiring. “We had to slash our education and training budgets; we were unable to invest in young people. “It took a decade to repair the damage done by the big banks, the Wall Street hot shots and the politcos inside the beltway. The American people sucked it up, stayed positive and kept working. Their efforts, not those of political leaders claiming victory, revived and reinvented the U.S. economy. “The hard-working adults of this country, the everyday Americans, your parents, presented you with a great gift, a strong and growing economy. “I’ll bet most of you have already found jobs – good jobs – at a time when wages are rising in a healthy way. • Make a decision. Strike a direction. Don’t wallow in indecision. Don’t sit on the sidelines. • Then give the new job all you’ve got. Look for ways you can help your company or organization beyond your narrow job description. If there’s an unmet need, a vacuum, fill it. Make yourselves indispensable. • Then, if that career path turns out to be not for you, stop, assess, but don’t tread water. Strike a new direction. Make a forward-facing decision. Don’t get stuck in the quagmire of no decision. Your resume gets moldy. “I’ve had seven career changes in my long work life, and I’ve enjoyed them all. Most of you will make multiple career switches as you move through your lives. “Know that transitions can be done. They sometimes need to be done, since this economy is very dynamic, ever-changing. It continually adds and subtracts different kinds of jobs. – or in a new career choice. “It keeps us young in mind and at heart. I thoroughly believe that the day you stop learning is the day that you start hearing harp music from afar. “For that reason, I never intend to retire. Never. I don’t even like the concept. “For an interesting life, you need the kinds of challenges that come with being a productive citizen. It doesn’t have to be in a paid job situation. It can be a non-profit activity, charitable or civic – just so you keep your mind and heart engaged. “Research shows that the human brain literally shrinks when it goes into disuse. The human body atrophies before its time with inactivity. Put them both to rigorous use through all your days. “We adults – with your graduation certificates, I hereby christen you adults – have a moral obligation to be positive, to be optimistic. “This is a great country, despite its many mistakes and challenges. It’s the job of your generation to keep it that way. We elders, the old geezers, are counting on you. “So, congratulations big time on your graduation today – on a major stride in your life’s journey learning and work. There will be other legs, but you’re off to a great start on some of the best times. I was in attendance for this commencement speech. It was a great speech and I hope it takes hold in the graduates hearts and minds propelling them on to fulfilling careers and lives. Thank you. Thanks for the feedback, David. It went over better than I expected. So far, not many of the Democratic candidates for governor have dropped out of the race, so it’s looking to be a long, hot summer of politics on that side of the Aug. 14 primary ballot. There are rumbles that Milwaukee Mayor Tom Barrett may be taking a pass on a fourth run for governor. He certainly has plenty on his plate to get Milwaukee moving in positive directions. With Barrett in or out, the remaining sheer number of Democrats wanting to take a crack at Gov. Scott Walker testifies that they think a blue wave will become real this fall. The list of serious contenders is eight. They all see the two-term governor as vulnerable. They are also emboldened by several lesser elections where the pendulum swung against the Republican Party under Trump. In addition, they also have done basic math and know that a small percentage of the primary voters could be a winning percentage. Fund rising will drive out some of the eight, but the primary votes will still be split many ways. It’s a once in a lifetime shot at the gold ring. Their voices are sounding the same on the issues. They all want to repeal and replace Walker’s signature Act 10, which stripped public employee unions of bargaining and organizing powers. A Republican Assembly or Senate could prevent repeal from happening, but that won’t stop the Democrats from running on that platform. It will be a classic political battle in one of the most purple of states. In their early statements, the Democratic wannabees have been ducking a major underlying reality as they attempt to return public employee benefit plans to where they were before Act 10. It is that government health costs were grossly under-managed, and they were busting the budgets of local government and school districts. The latest Milliman actuarial calculations put the annual cost of health costs for a family of four in an employer plan at $28,166, up $1222 from 2017. That soaring burden screams out for innovative management, and cities and schools that have followed the reforms of private companies are bringing in high quality health plans at much lower totals. Best practice in the private sector for a family plan has been running at less than $20,000. 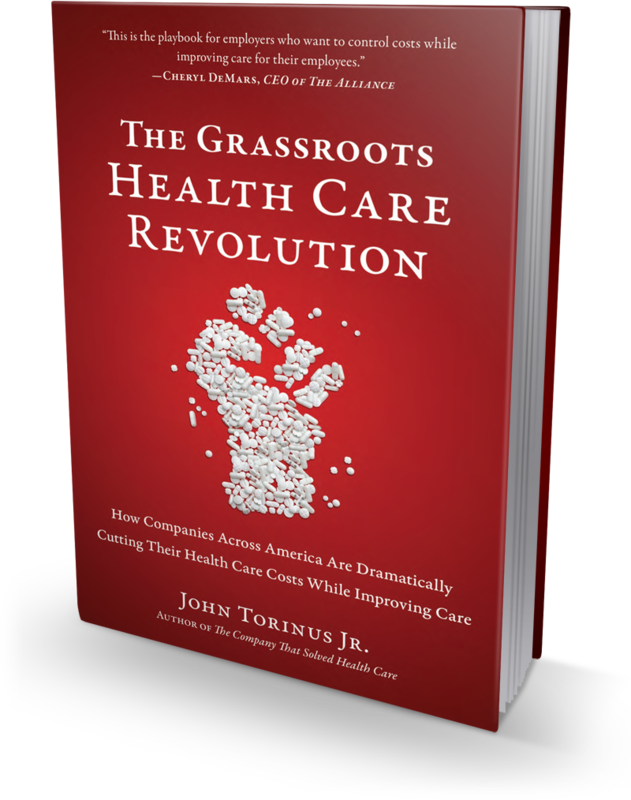 Some of the candidates will see health care costs as a zero-sum game, proving they don’t understand that good management can produce good results without cost shifting. On-site primary care clinics at schools are just one example of better care at lower costs. There are many other avenues to better value, Public employees were required to pick up 12% of health premiums. Their deductibles, co-insurance and co-pays are still very low. Private employees on average pay about 25% of premiums. With every high deductibles and co-insurance, they now pick up 44% of total health costs. That’s a local, state and national economic crisis that faces both parties. So far, neither has come up with an answer. Without a solution to that economic crisis, the push to repeal Act 10 is an empty platform. There are other major issues as well. Several of the Democratic candidates have proposed raising the tax to pay for more road construction. Gov. Walker has opposed any tax hike. That will be a useful debate, which is what campaigns should mostly be about. Will this collection of candidates tackle the state’s other major issues? Will they tackle or duck crime and poverty in Milwaukee? Will they tackle or duck the need to reorganize the University of Wisconsin System and its murky finances? Will they be pro-growth, pro-entrepreneur, or will they think the economy and citizen prosperity can improve if business is an adversary? Will they be able to find collaborative ways to work with many parties to protect our natural resources, or will they revert to their prosecutorial instincts? The Great Lakes are hugely challenged, but they have been a non-issue. Gov. Walker has been quiet about big ideas in his campaign. He’s playing it safe, running primarily on the state’s low unemployment rate. He will defend Act 10, a winning posture when he was recalled and in his run for a second term. Let’s insist that he and his battalion of Democratic opponents deal with the other pressing Wisconsin issues. Real easy John o the Great Lakes. Tell MMSD to stop dumping poop into the lake. That would be great for starters.